A record number of Americans participated in at least one outdoor activity in 2013 with nearly 50 percent of all Americans ages six and older enjoying the outdoors. That percentage equates to 142.6 million American outdoor participants, according to The Outdoor Foundation. Although the number of participants rose, the percentage of participants fell slightly from 49.4 percent in 2012 to 49.2 percent in 2013, due to population increase. Additional findings indicate that young participants were slightly more diverse in 2013 than they were in 2012. Hispanic participation increased from eight percent in 2012 to 10 percent in 2013. 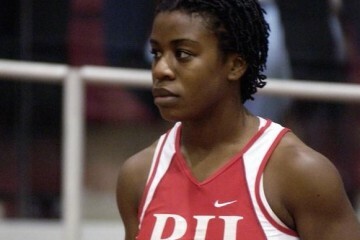 Young females are now participating in outdoor activities at the same rate as young males. Since 2008, males had outpaced females in outdoor recreation participation. For more than three-quarters of a century, North Carolinians have helped make the 469-mile Blue Ridge Parkway one of the most popular parts of the National Park System. North Carolinians have also, since 2004, made the Blue Ridge Parkway’s N.C. license tag the most popular choice among purchasers of affinity tags for their cars and motorcycles. The familiar green-and-gold plate, found on more than 25,000 vehicles across the state, provides vitally needed financial support for Parkway programs, maintenance and capital projects at a time when the federal government has cut back on spending for parks generally across the country. 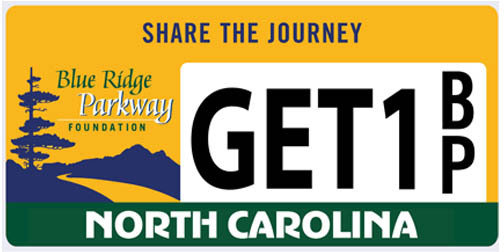 Plate purchasers get an attractive license plate to put on their vehicles, the state benefits by getting a share of the $30 cost to improve access to way stations, and the Blue Ridge Parkway Foundation gets $20 from each plate sold to help restore and upgrade facilities over the Parkway’s 77 years of operation. The Blue Ridge Parkway Foundation, created in 1997 as the Parkway’s official fund-raising partner, uses proceeds from the plate to fund hundreds of projects above and beyond those supported by public funds including the creation of a new communications center serving the Parkway as well as state parks in North Carolina and Virginia; restoration and upgrades at such popular facilities as Price Lake near Blowing Rock and Mabry Mill in Virginia; operation of programs at the increasingly popular Blue Ridge Music Center near Galax, Va., the Parks in Classrooms and Kids in Parks projects, construction of new restroom facilities and restoration of a number of Parkway original stone water fountains. This year, the Foundation’s Board of Trustees committed $700,000 to support projects identified by Parkway management as priorities, including rehabilitating the degraded Price Lake Loop Trail at the Julian Price Memorial Park near Blowing Rock; expansion of the Linville Falls Overlook and an enhancement project at Graveyard Fields near Asheville that will include a new parking lot, comfort station and trails. According to the Times-News (BlueRidgeNow.com), Hendersonville, N.C.’s Matt Kirk — who holds the record for self-supported thru-hiking the AT in 58 days, nine hours and 38 minutes — is manufacturing the homemade pack he used to complete the feat. He designed and built his own ultra-light pack for his journey and due to its proven success, last year made about 60 of the “Sub-60 Fast Packs” with the help of an Asheville-based seamstress who also makes her own lightweight backpacking gear. The two sold through almost all of the packs, spending nothing on marketing or advertising. According to the paper, it’s a vest-style pack that weighs about 10 ounces with a mesh hip belt and lots of accessory pockets, with a capacity of 1550 cubic inches and a recommended carrying capacity of about 20 pounds.